Diabetes is a complex, chronic disease that can lead to serious complications, including kidney and cardiovascular disease. Over three million Canadians have diabetes and approximately 90 per cent of these have type 2 diabetes. 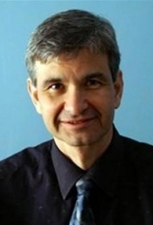 Dr. Richard Tytus is a Family Physician and Associate Clinical Professor at McMaster University.